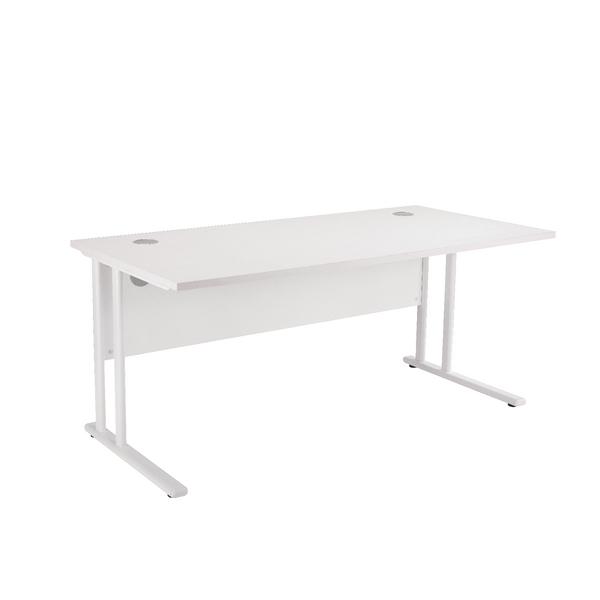 Designed with simplicity and traditional quality at its core, this First rectangular cantilever desk is supplied with complementary cable management ports, and a sturdy 25mm desktop. 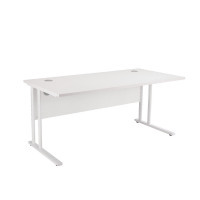 Features metal-to-metal fittings, and a premium white leg frame. Completed in a high-quality white finish. Dimensions: W1200 x D800mm.